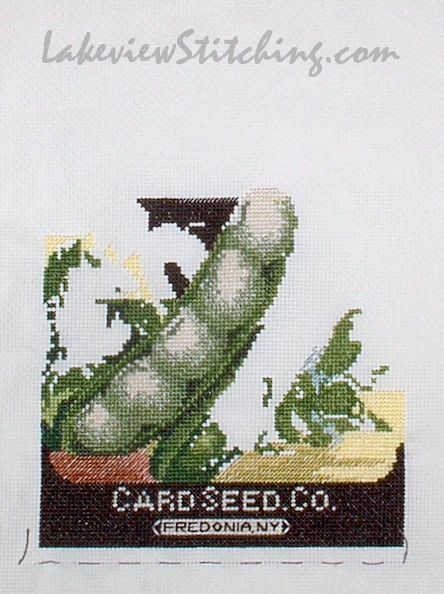 This is the first of four seed packet patterns from June Grigg that I bought in the early 90s and am finally getting around to. The stitching is on 18 ct aida, and the texture and coverage are really nice. I remember now that the texture is what attracted me to the projects in the first place, when I saw the samples in June's booth so long ago. I wish you could all feel it through your screens! Thanks, Margaret! I think June's design manages the values very well. This made me smile. I went to my local Spotlight, a general sewing/craft chain, three times in three days this week to get thread! Every time I got home and finished off what I was doing I found another project that needed thread. I love the seed packet. Great idea and looking good.